Earlier this year, Ableton Certified Trainer Freddy Cuin aka Freddy Frogs started "Freddy's Tech Tips", a series of short tutorials for Point Blank Online's blog. 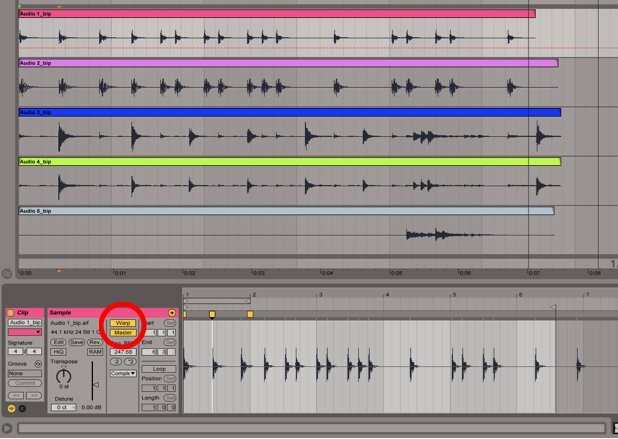 Now up to nine articles, Freddy's Tech Tips is an excellent resource for short bits of unexpected knowledge on working with Live 9. The latest tutorial covers using the "Master" button when Warping Clips, to get sounds to Warp together. Learn more about it. In another tutorial, Freddy demonstrates how to get a full-bodied bass sound using an Instrument Rack with controls for manipulating different frequency bands. Get the Rack and tutorial.